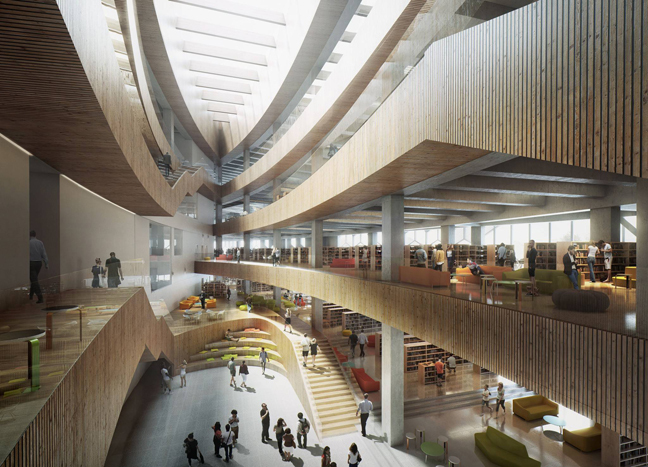 In 2013 Snøhetta and DIALOG‘s competition-winning design was selected for the new Calgary Public Library. 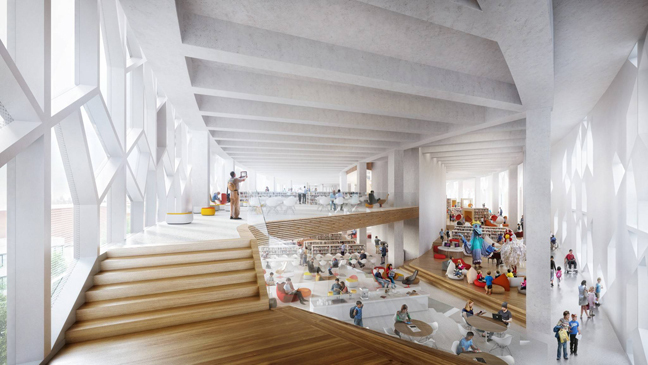 Following a two year process of community engagement, the new design will realize the city’s vision for a technologically advanced public space for innovation, research and collaboration at the intersection of Downtown Calgary and East Village. 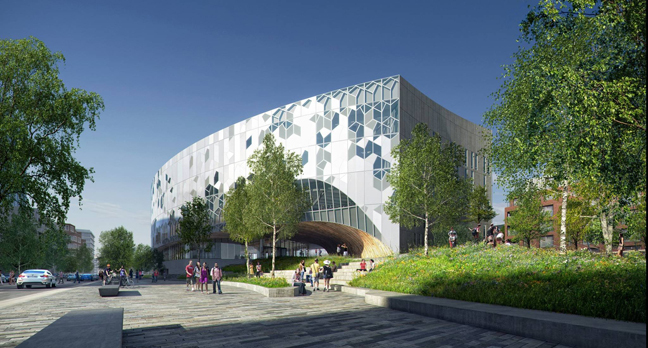 The design team embraced the city’s diverse urban culture and unique climate, striving to create the right library for Calgary by establishing a vibrant, welcoming and accessible public space in the heart of this rapidly expanding metropolis. 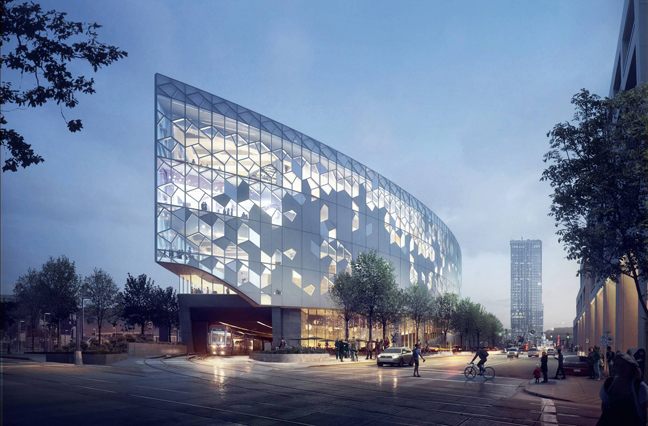 The lifted library, with an open entry at the heart of the site, allows for a visual and pedestrian connection between East Village and Calgary’s downtown. The entry, framed by the wood-clad arches that reference the ‘chinook’ arch cloud formations common to Alberta, becomes a gateway to neighboring communities and provide a new outdoor civic spaces within the city. The façade utilizes a unique geometry and distribution of clear and fitted glass openings to control desired daylight levels for the interior spaces. The encapsulation of the existing Light Trail Train is currently underway, and the new Calgary Public Library is expected to be completed in 2018.